Whether you've got questions about your sewer service, doing business with ISD, or need to apply for a permit in person, it's reassuring to know our offices are open weekdays to serve you. 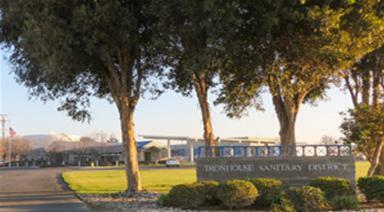 Thank you for dropping by the Ironhouse Sanitary District's website, which we recently redesigned to make it more comprehensive and easier for our customers to use. We strive for transparency, and are proud that our district was recently recognized for these efforts with a District Transparency Certificate of Excellence presented by the Special Districts Leadership Foundation for the California Special Districts Association. Please use the menus at the top of this and other pages to discover all the services we provide. If you have ideas for other features you would like to see added to this site, feel free to use the link below to drop us a line.